Quinn's short stories were featured in well more than half of Weird Tales's original publication run. His most famous character, the supernatural French detective Dr. Jules de Grandin, investigated cases involving monsters, devil worshippers, serial killers, and spirits from beyond the grave, often set in the small town of Harrisonville, New Jersey. In de Grandin there are familiar shades of both Arthur Conan Doyle's Sherlock Holmes and Agatha Christie's Hercule Poirot, and alongside his assistant, Dr. Samuel Trowbridge, de Grandin's knack for solving mysteries—and his outbursts of peculiar French-isms (grand Dieu! )—captivated readers for nearly three decades. 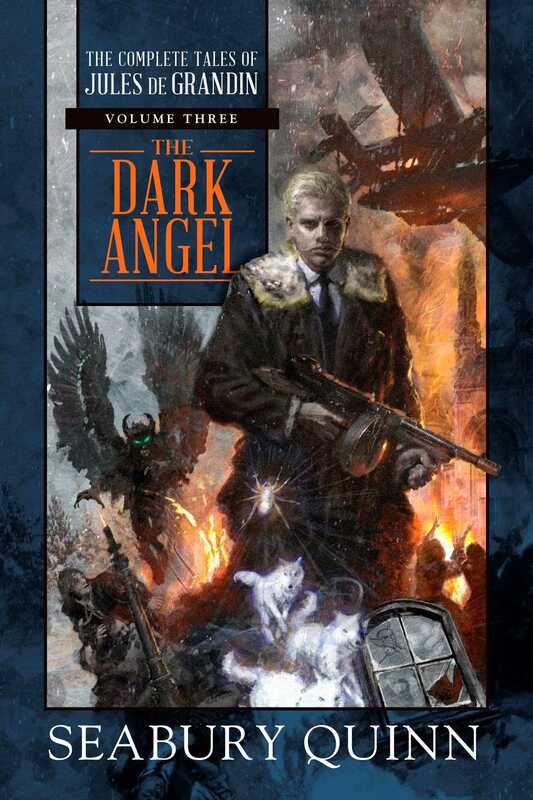 The third volume, The Dark Angel, includes all of the Jules de Grandin stories from "The Lost Lady" (1931) to "The Hand of Glory" (1933), as well as "The Devil's Bride", the only novel featuring de Grandin, which was originally serialized over six issues of Weird Tales. It also includes a foreword by Darrell Schweitzer and an introduction by George Vanderburgh and Robert Weinberg.